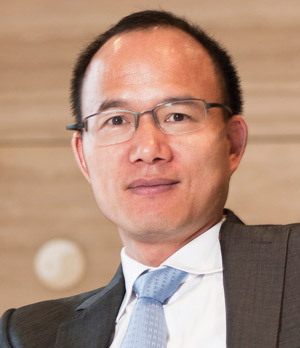 Guo Guangchang is the chairman of Chinese conglomerate Fosun Group. Fosun International was established in 1992 and now ranks among China's top 100 enterprises. Global Finance: What key changes defined the past 25 years in China? Guo Guangchang: The first is the fact that China has become a global player in the industrial sector, at the mid-to-low end of the value chain. The second major change has been the urbanization of China, which has reached some 50% of the population at this point. At the same time China has developed a system in which state-owned companies coexist with private companies—which provide some 90% of job growth opportunities. And finally China has prepared a legal framework that favors the [free] market system. Overall in the last 25 years GDP has increased dramatically. GF: And looking forward, what do you expect in terms of major changes? Guo: I am certain that in the industrial sector, companies that are now in the low end will move to high-end production 10 years from now. Until now China had three main engines: exports, investments and consumers. The latter will get to be on the main stage. We have seen a dramatic increase in labor and industrial costs, and one good effect of this is that Chinese people live better, purchasing power is growing and consumption is up. The legal and political systems are improving, but I expect many changes in these areas. I also expect the Chinese banks to become operationally similar to Western banks and gain independence. Now they are still managed very closely by the government and are more regulated than in other countries. GF: Why does Fosun use a minority stake approach to investing? Guo: We take stakes that we consider meaningful, and we participate in the management of companies, helping them to accelerate their Chinese growth. Only in this way we can add value to the company. GF: And now your strategy is to expand outside of China? Guo: We believe we can help Chinese companies upgrade to international levels. We are convinced that if you do not enhance your international strategy and vision, you lose domestic advantage as well. So it is not an expansion, but a strategy of deployment to survive. We look at companies active in the consumer sector, and we are interested in brands. We are also looking at tourism and affordable luxury brands like 40/40 [Club]. We have joint ventures with Prudential and the Carlyle Group, and we are looking for more partners and capital to support our global strategy.